Your child probably comes home from school each afternoon with a list of sight words to practice, and your role is to help them go over that list, so that they can be tested. Sometimes a child can ace his sight word tests but still not be able to recognise those words in a book, or out at the grocery store. Why? Because they’ve learned the words in context. Either sitting at their desk or at the kitchen table. And they’ve learned those words as part of a list. So what can you do to generalise their learning and help them recognise those all important words whatever their surroundings? Well first up you need to read every day with your child, but secondly, you can play some sight word fun games so they can practice! 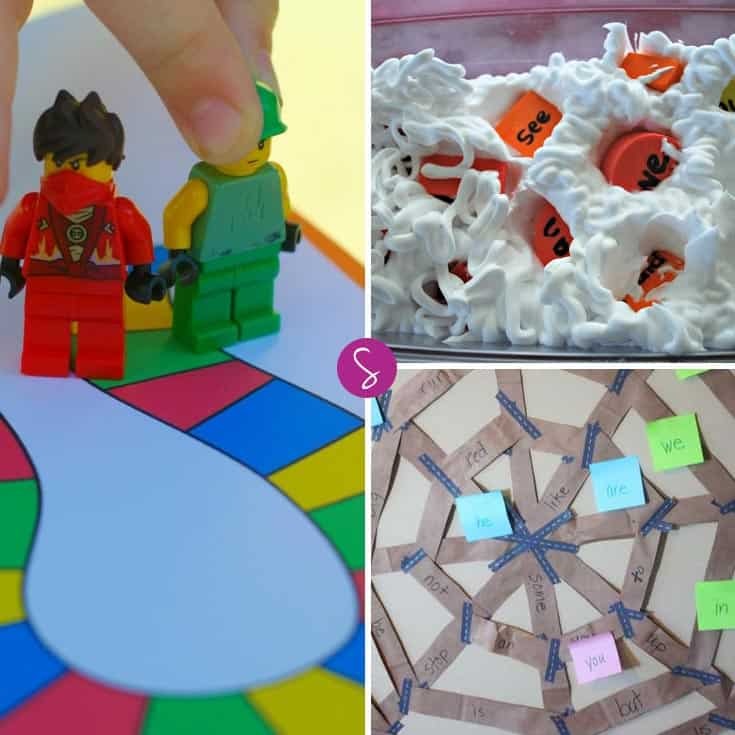 We’ve rounded up 37 of the most fun sight word games that our fellow super moms have created, so all you need to do is pick two or three that you think your child will enjoy and have some fun together learning those all important popcorn words! 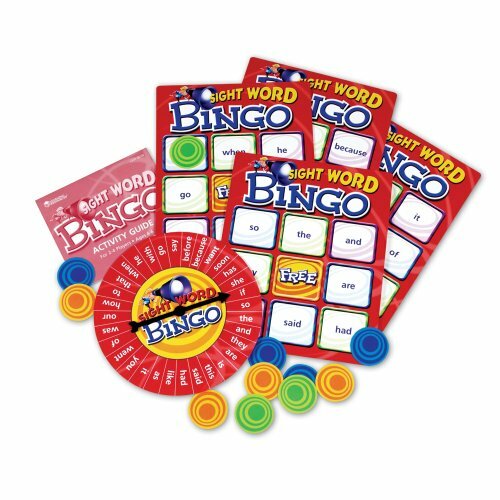 Oh and if you’re a homeschooler, you might want to skip the list learning all together and just jump straight in with the sight word games. In a hurry? ==> Order a pre-made game instead! 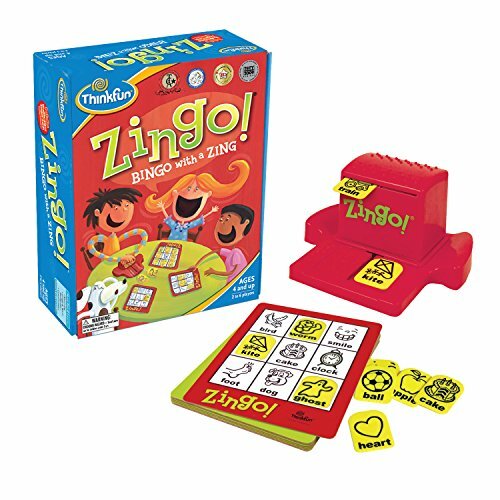 Zingo Sight Words is a fun twist on the game of Bingo but your child has to cover up the sight words on his card as they are called. We love the little dispenser that comes with it because it adds a little bit more intrigue to the game! 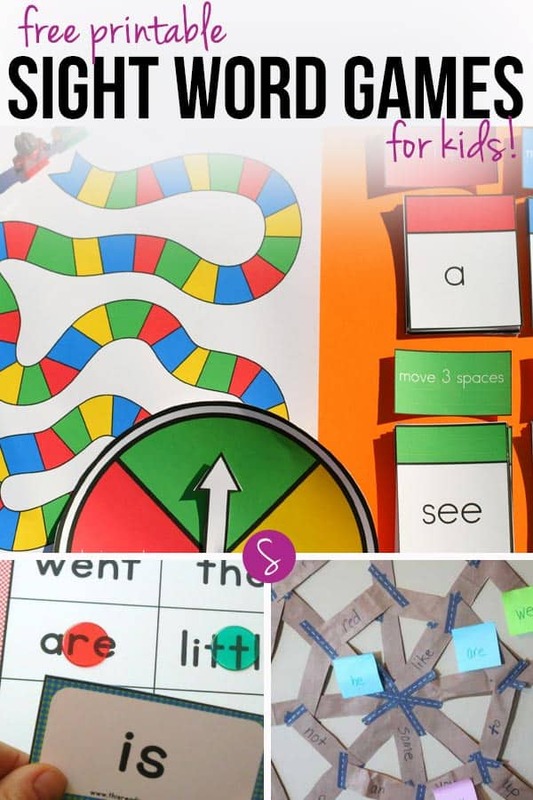 No time to actually put together these free printable sight word games? No worries, just buy a board game for your child instead! 5. Sight Word Snowball Fight Activity for Kids! 10. Fall Sight Word Freebie! 21. Paper Airplane Sight Word Fun! 27. 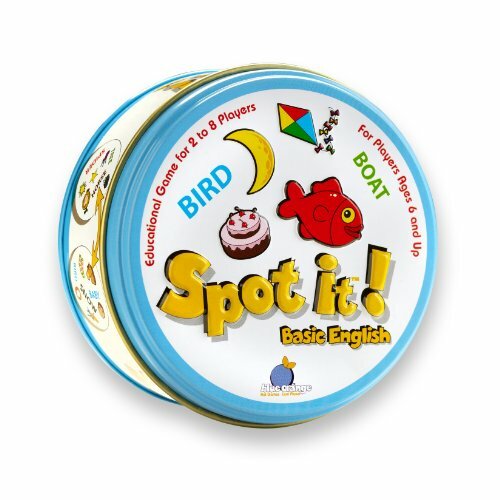 A Game for Practicing Spelling, Sight Words or Letters: WORDO! 28. Sight Word Guess Who? 34. 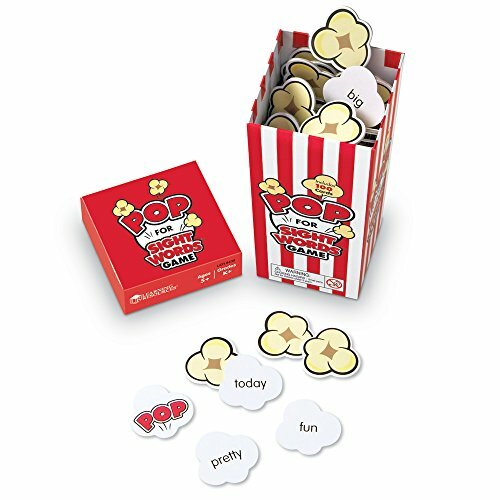 Musical Sight Words Game: Move, Groove and Read! ~Clare – currently pinning to Raising Readers. Click here to follow our Raising Readers board over on Pinterest. Previous PostPrevious Easy Hummus Recipes for Kids to Dip Stuff Into!